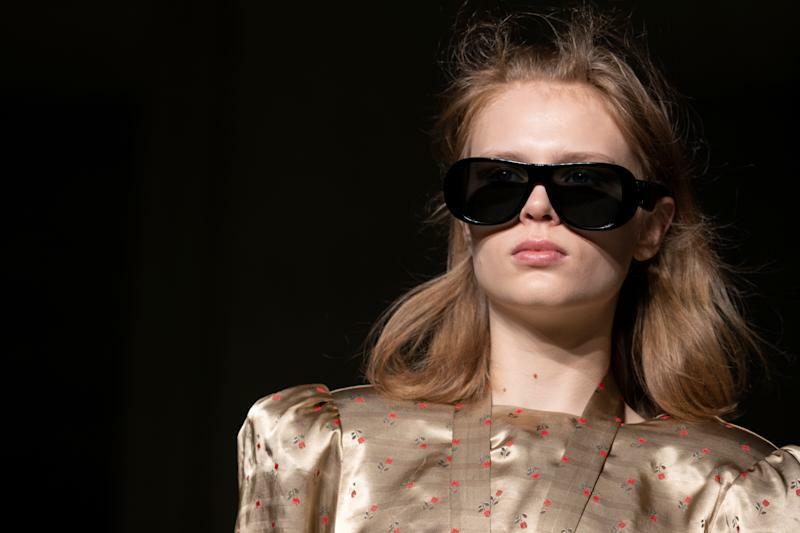 London Fashion Week got underway over the weekend, and if the first few days of catwalk shows were anything to go by, then we're in for a playful hair and beauty spectacle for the Fall/Winter 2019 season. Hair bows, big wigs and overlined lips made for a bold, statement beauty look at the Pam Hogg show, coupled with heavy winged eyeliner and a soft, matte complexion. 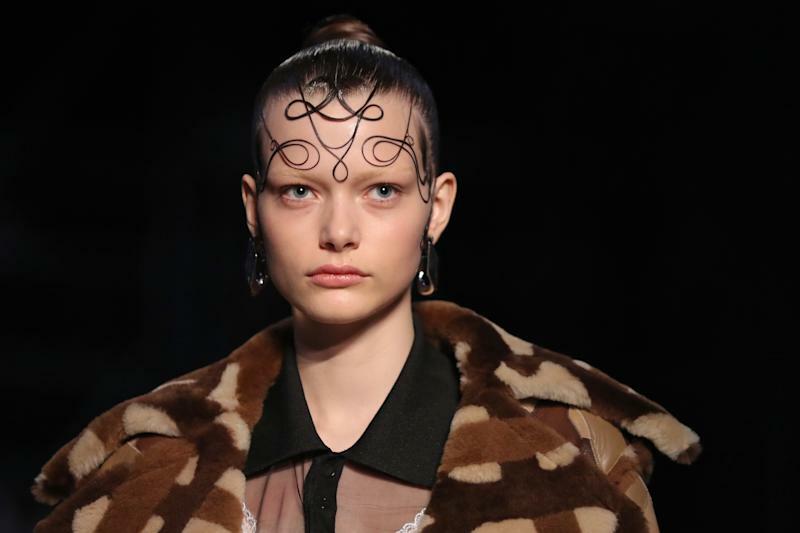 At Burberry, hairstylist Guido Palau deftly created an elaborate gelled hairstyle that involved fixing looping strands to the face in an intricate and mesmerizing pattern. A barefaced makeup look kept things balanced. Wet-look hair was also a theme at the Mary Katrantzou show, where the models had their tresses dampened and clipped down to the face, featuring a slightly sticky texture that was complemented by dewy skin. Alexa Chung channelled her signature insouciant London vibe with a beauty look that revolved around very little obvious makeup, plump, rosy lips and tousled hair replete with textured flyaways. Kiko Kostadinov got playful with color, splashing the models' faces with flashes of green makeup. 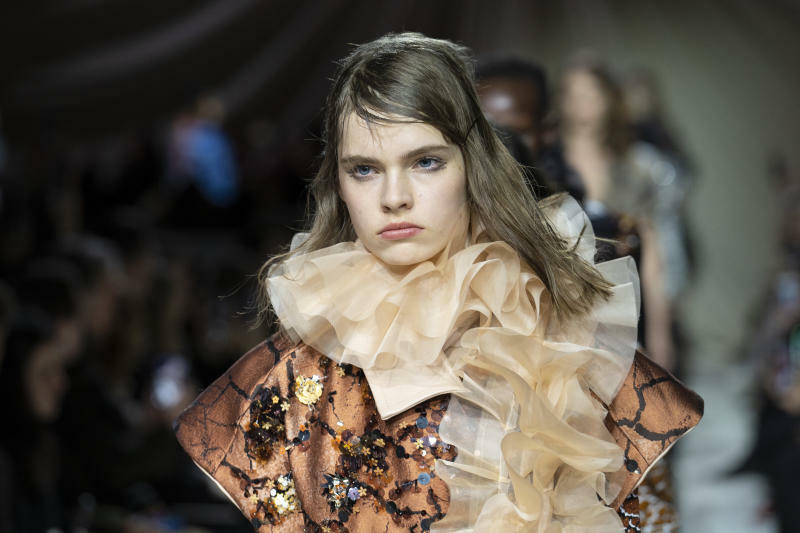 A glowing complexion and wet-look tendrils of hair further emphasized the quirky aesthetic.